Store, charge and protect your Codey robots with Codey Rocky Educational Kit! 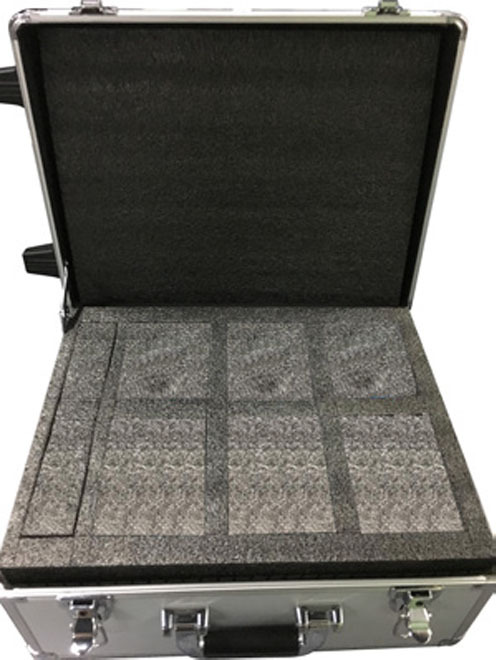 The Codey Rocky Storage and Charging Solution houses up to 6 Codey Rocky Robots and with its light weight design and convenient wheels, it can be utilized for all your mobile needs. Without the need for any new cables or power cords the unit is ready for use out-of-the-box! Equipped with a fast charger and protective foam, your robots will be securely stored and ready for action in a heart beat. Easy to travel, contain wheels and is highly-durable. Whoever is an avid technology user will vouch for the fact that charging your devices, robots, and machines has always been a hassle. Until otherwise taken care of especially by the product founder. With Codey Rocky, Make Blocks has put in the work to provide a specially designed custom charging solution housing up to 6 Codey Rocky robots. It’s light weight, convenient and blazing fast to charge your robots. The aesthetic appeal of charging solution satisfies the emerging needs of modern generation Codey Rocky. You don’t need to purchase or connect any new cables, the charging solution takes care of everything out-of-the-box. Just plug and play to cater bulk charging for all your 6 Codey’s. Are you thinking to travel with Codey Rocky? Just like Rocky helps move Codey, the light weight and durable charging solution helps an army of 6 Codey Rocky to move from one place to another. You don’t need to worry about the robots getting damaged. The protective foam takes care of everything. The charging solution is designed in such a way that it’s easier to carry the box around. It has wheels but a pretty attractive non-embarrassing design as well. Best of all, you can keep your Codey robots safe even when you do not want to charge them. When you are done with the learning sessions, you can keep the robots in the storage box sections. 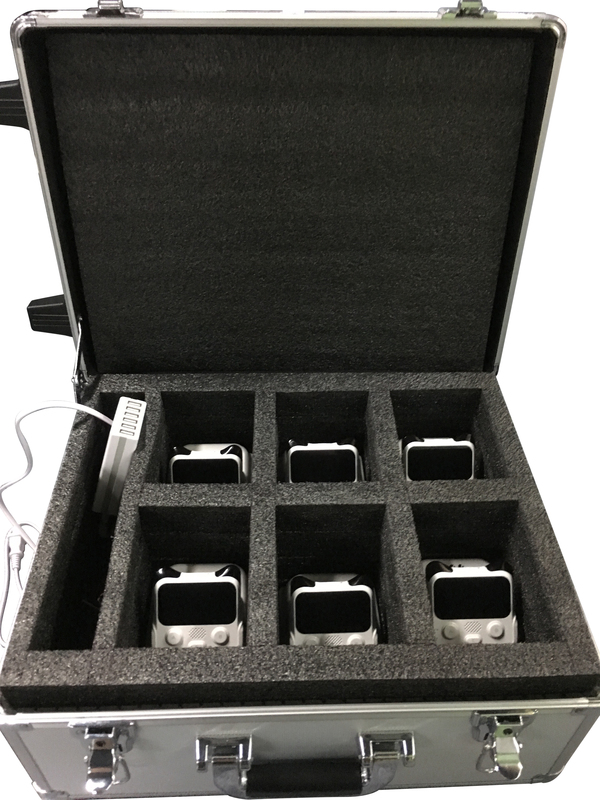 The storage and charging solution box has 6 distinct sections, one for each robot. The provided solution does not come with Codey Robots. We assume you already have the robots and are looking for a vibrant bulk charging and storage solution. A curriculum card is required to access and the package provides a curriculum card. Its total weight is 6KG, highly robust and durable to help your Codey’s last for much longer period.